WI-PLUG – Advanced Electronic Chemical spill containment plug for drains, pipes, outfalls and catch basins. The WI-Plug System is composed of one or more WI-Plugs which may be installed in drains, pipes, out falls and / or catch basins around the facility. All the WI-Plugs are controlled by the Electronic Coordinator system (ECU) and can be activated via the Remote Control Unit (RCU) or automatically via sensors. Once deployed the system contains the spill to allow time for a composed and orderly clean-up. 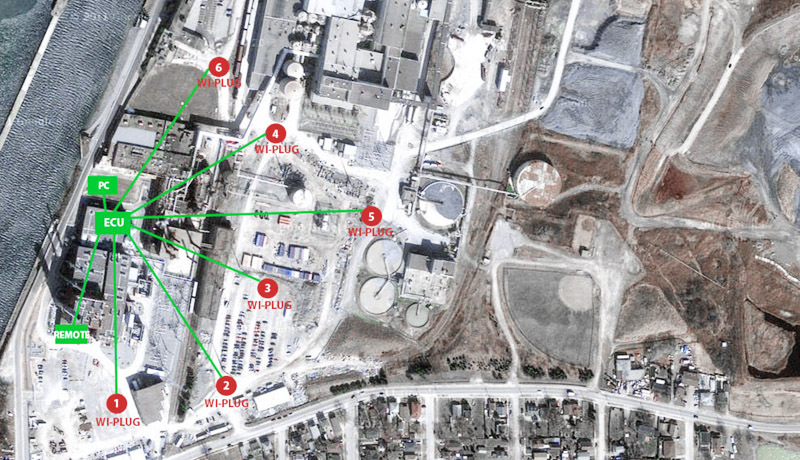 The system also notifies key personnel on and off site. The system management PC software allows connection to the ECU from any desktop or laptop computer. This connection enables system monitoring and configuration. The software also adds short text messages (SMS) capabilities, and Email notifications on warnings, errors and deployments. ChemiGreen also offers a full monitoring service of your installed system. The WI-Plug system can work autonomously without a PC connection. 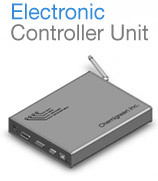 The ECU is the Central processing unit of the WI-Plug system, it is located inside the office or control room; it can be connected to your PC / network to allow easy access to the system for activation or data management. The ECU can be connected to any alarm system or sensor system. 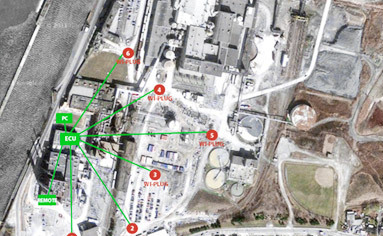 The ECU work uses an encrypted wireless mesh network. The mesh network is extremely robust and is designed for industrial use. Each ECU can control up to 128 devices. A programmable wireless emergency spill switch which is suitable for use during high risk operations or at areas of permanent high risk. The Spill Switch can be assigned to any single or group of WI-Plugs. The operator can deploy the assigned WI-Plug(s) at the press of one button. This handheld unit enables activation of any WI-Plug from any location in your facility in four key strokes. Deployment is completed within seconds and the RCU receives a real time status reports. The RCU enables personal to contain a spill and alert the Emergency Response Team simultaneously. 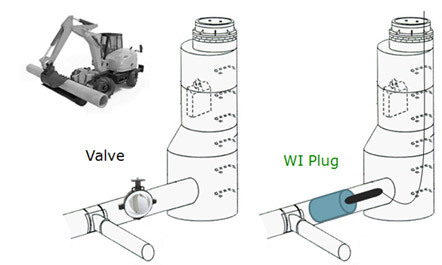 The WI-Plug can be installed in almost any location regardless of pipe size (4"-36") or pipe location. 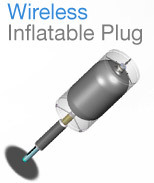 The WI-Plug can be tailored to an assortment of chemicals and is compatible with 99% of materials. Installation usually takes less than 1 hour per drain. The WI-Plug can be activated either directly or by the ECU. The intelligent WI-Plug system will report to the user if it needs maintenance. Conventional installation of oil spill prevention technologies are expensive and involves the costly construction of a mechanical valve system. The ChemiGreen WI Plug System can be installed during or after a drainage pipe has constructed. Click on the below image to see a typical facility installation, containing 6 Wi-Plugs offering protection for 6 separate drains, linked wirelesly through an ecrypted mesh network to the ECU and subsequently to the System Management PC as well as the Remote Control Unit. Terms and Conditions Privacy ©Copyright 2012 ChemiGreen Technologies Inc.